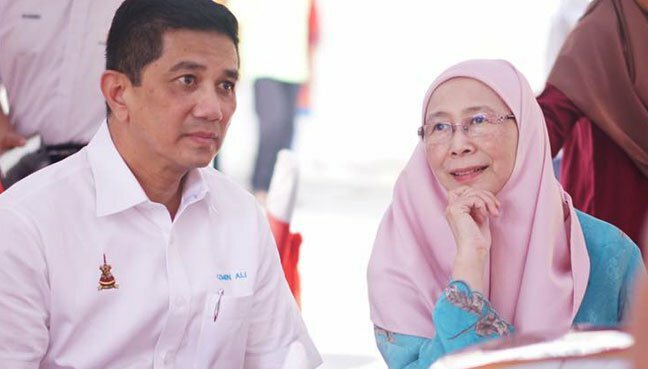 PKR president Datuk Seri Dr Wan Azizah Wan Ismail and her deputy Datuk Seri Mohamed Azmin Ali. KUALA LUMPUR, Aug 23 2018 : Deputy Prime Minister and PKR president Datuk Seri Dr Wan Azizah Wan Ismail reiterated yesterday that there was no plot in the party to prevent president-elect Datuk Seri Anwar Ibrahim from becoming the next prime minister. She also dismissed the possibility of there being factions in the party. “Hatching plots? None. It’s nonsense,” she said when asked whether she was aware of any plot to frustrate Anwar’s attempt to become the eighth prime minister after Tun Dr Mahathir Mohamad. Dr Wan Azizah was asked the question after she had performed the Aidiladha prayers at Surau Al-Falah Taman Cempaka in Pandan near here. Last Monday, Sungai Siput MP S. Kesavan, who is contesting one of the posts of vice-president in the PKR elections, questioned the loyalty towards Anwar of PKR deputy president and Economic Affairs Minister Datuk Seri Mohamed Azmin Ali. Kesavan had said he was not convinced that Mohamed Azmin, who is defending the post of deputy president in the elections, really wanted Anwar to be the next prime minister as he (Mohamed Azmin) had allegedly not stated his support for Anwar. On another matter, Dr Wan Azizah denied that the PKR new ruling prohibiting the party’s election candidates from holding ‘ceramah’ (talk) and hosting feasts for more than 100 guests applied only to certain individuals. She said the ruling applied to all the candidates. “It is for all the candidates; it is fair to all,” she said. 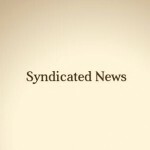 A portal reported that PKR had introduced several tight rules for the party’s election candidates. The PKR 2018 elections are scheduled to be held between Sept 14 and Oct 13. Dr Wan Azizah, who is the MP for Pandan, urged all Malaysians to come together to help the government to continue developing the country.